YORD SALE – NO EARLY BURDS! | JIFFY FEET – Southern Fried Awesome! YORD SALE – NO EARLY BURDS! YORD SALE – NO EARLY BORDS!, originally uploaded by jiffyfeet. 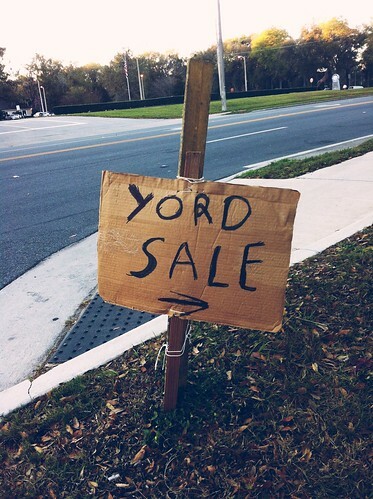 Come to our Yord Sale… Where we sell your items in the past tense!!! Here’s a pickin’ tip, offer them $1 regardless of the sticker price, they won’t know the difference! Photo: Tymn A. – Deep in Ocala Florida!